There is nothing that seems to cross all boundaries of yoga styles as clearly as sun salutations. Of course there are variations on the theme, but it seems that all styles do them. Sun Salutations put movement through all of the joints of the body and move it in many directions. Perhaps we have a little difficulty in finding say, a twist, but many movements are represented. Since it is so universal in one form or another, it has always intrigued me and at different times along my journey, asked me to look deeper into its meaning. We are saluting the sun, why? Surya used generally means sun. 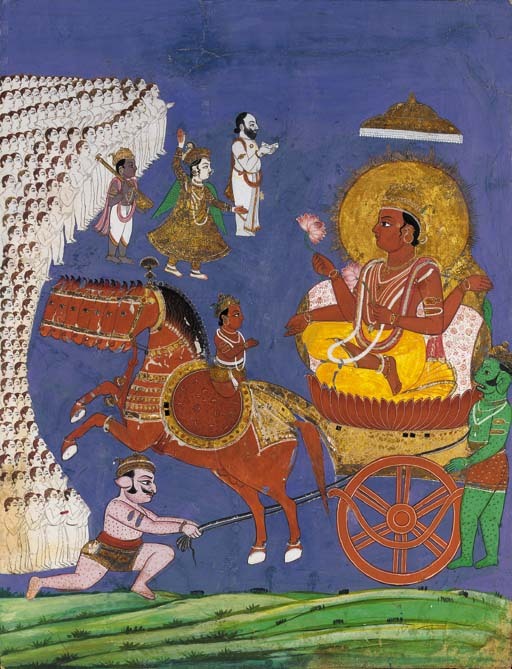 But Surya is also a god as depicted in the image on a chariot. The sun is the bringer of life and health. Alas, I am just a poor little anatomy teacher, what do I know of these deeper more esoteric things, right? The sun is the seed of life for the entire planet. Without it we are nothing but a cold, dark planet. In a similar way, the movements of sun salutations are the seeds of many other postures. As I’ve already stated, we find that sun salutations take us through a large range of movements. Without doing them first, don’t we feel a bit cold and dried up as well? OK… let’s get on to the anatomy. That’s why you’re here after all, isn’t it? The plan for this little series on sun salutations is to take time and break down the sun salutations into each of the major components and explore some of the why’s and why not’s. As with all things, you can rationalize or argue any position you like and these are just my observations. The main thing that I love most about sun salutations is that the body is in motion for so much of it. 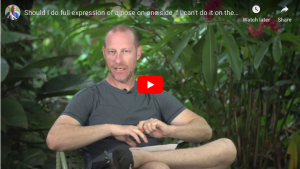 Although we often talk about the body in static postures during a yoga class, for me, there is much more revealed in the way in which all the parts integrate and function together. During sun salutations we see the patterns of movement manifest in ways that we are unlikely to see when the person is static. To be fair, when the body is static, we see things that might be hidden when the body is moving! I am often looking at a series of movements as they happen and here are some of the thoughts or questions that float around between my ears. With how much effort and attention is the student in samastitihi or tadasana? When they raise their arms in the air, where are they moving from, how have they rotated their arms, or not, and at what point in the movement? Do they backbend when they reach up? When they dive forward, how far back do their hips go relative to their ankles? Does this say something about their hamstrings? Do they bend their knees at all or keep them straight when they fold forward? Are their legs engaged in the front? Are they using their arms to deepen their forward bend or are they using hip flexors? When they look up, from where do they initiate the movement? Are they on their fingertips, flattening their back or are they keeping their hands flat? Where have they placed their hands? When they jump or step back, do they float or do they land hard? Do they keep their shoulders moving forward or do they move back to a down dog-like position? Do they know how to stabilize their torso and their shoulder girdle at high plank or as they lower down into chaturanga? Do they move into upward dog in a way that adds stress to their shoulders and wrists? Are they moving through their entire spine or just bending in the lower back? Are they compensating with their feet, shoulders, or neck while in upward facing dog? When they move from up dog to down dog, where do they move from? 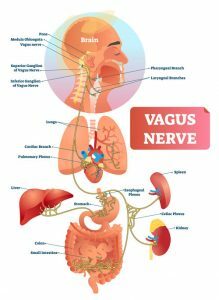 Can they control and regulate their breath or do they hold it in certain places in the movements? When they step or jump forward, how are they doing this? Is their weight in their feet? Is their weight in their hands? Where are their shoulders when they land, if they jump? Again, these are the pieces that I would be processing without thinking about it. Of course, none of them get to the interpretation of what it all means, but that’s the point of this article series. There are a variety of ways that sun salutations are performed. There are also good reasons to emphasize different aspects at different times for students, depending on the level of their practice and abilities. There is a lot of work that one can do in tadasana or samasthiti. It establishes our neutral place for standing yoga postures. Another way of saying that, is that all standing postures evolve from or emerge from this basic standing posture. I know there are teachers out there who spend hours on describing all of the things you “should” be feeling and experiencing in this posture but I’m not one of them. That’s not to say that there is nothing to do. I have kept a more generalized internal feeling of attention throughout the entire body. Instead, I use tadasana from the teaching perspective as an opportunity to observe the student and what alignment, or misalignment issues they may have while static. I then watch them move with and through that alignment/misalignment and let that inform me and the specific instructions I might give to them. Samasthiti is classically done with the feet together and tadasana more commonly with them at hip width apart. These seem like simple things to do, but not for everyone. I’ve met people along the way that have legs that bow inward, sometimes referred to as knocked-knees. If this person puts their feet together as in samastitihi, their knees would not just touch, they would have to melt into one another or cross in front of or behind the other. These people are an exception to the rule for samasthiti and would have to have their feet separated a bit. I have met some who were forced by teachers to keep their feet together and then bend one knee slightly to move it out of the way! The next issue at the feet is having them straight. Well, what is straight? Are we looking at the inner or outer edge of the foot to determine this? Those who create their alignment with the outer edges of the foot will have big toes touching and heels slightly apart. Aligning the outer edges of the foot with the outer edges of the mat rotates the thighs inward and the knees with them. Although there are claims of this having some effect on mula bandha, I haven’t found it myself. It certainly feels different, but there doesn’t seem to be much anatomical basis for it. 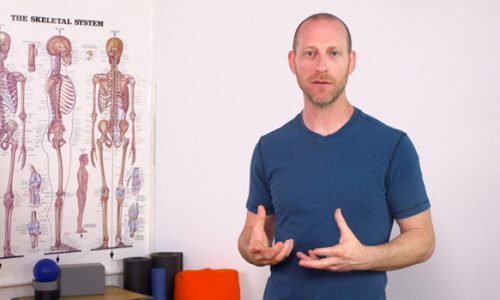 What is most important to me from an anatomical point of view is the direction that the knees are pointing when standing, walking and moving through yoga postures. Why? Because it’s the knee that is the most vulnerable joint in the leg. If the knee is straight, the rotation that we see at the foot actually comes from the hip. If the knee is bent, it’s possible that the rotation is happening at the knee joint itself. But the ankle does not rotate. Any time the foot is going one way and the hip is going the other, there will be force passing through the knee joint. It’s not like we’re made out of glass or anything, however, over time these forces can add up. So, when the feet are not in the place you would like them to be or you decide to change their position, don’t forget to look at the whole leg, not just one end of them. There is also a lot of attention given to the pelvis and to its position when standing straight in samastitihi or tadasana. Personally, I think the whole, “tuck your tailbone” thing has been overdone for most people. I get the seed of it, but I don’t think it was ever meant as a gross movement the way I often see people doing it. First, look at the person and their anatomy. There are certainly people who have a pelvis that is tilted forward and down too much. By too much, I mean it’s a pattern that may be part of other problems for that person. These people may have to retrain certain tissues to get the pelvis in the right place, and yes, they should do the gross movement of tucking their tailbone or lifting their pubic bone. If you don’t have this strong anterior tilt going on, then the action is much more subtle. In this case, it’s really about engaging the pelvic floor slowly and gradually, which has an effect on the tail bone directly. This becomes less of a pelvic movement and more of a sacral tilt. If you want to read more about sacral movement, check out the post and the comments in this old Nutation/Counternutation article. This more subtle movement is one of grounding. Whether you’re doing samastitihi or tadasana, you are meant to be grounded and firm. In part 2 of the sun salutation series we are going to look more closely at the movements and actions of raising the arms over the head. Sounds simple right? I will take a look at what appears to be the most easeful and effortless way to raise your arms. How many variations on raising your arms overhead have you seen? Thank you for this article. I look forward to part II! I always thought or assumed that Samasthiti and Tadasana were the same pose simply named differently. Is then the positioning of the feet the only difference and if so, do you know the reason(s) for these two poses? I have seen tadasna taught both ways. I even posted the image of Iyengar doing tadasana with feet together. Just thinking out loud for a moment. Is there a difference between being a mountain, and let’s say, fixed, hard for mountains to move. Samastitihi is usually translated as equal standing pose. Does not imply fixed in any way. perhaps. This is not about a right way or a wrong way. Perhaps this is the reason vinyasa and more movement based methods, like Ashtanga default to samastitihi, and in a sense are equal standing and “ready” to move. ??? Anyway… anyone else is welcome to throw in to this one. I was of the understanding that the difference between tadasana and samasthiti are the hands. 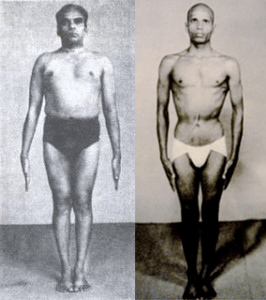 In tadasana, the arms and hands are along-side the body (like in the pictures of Iyengar and Jois) and samasthiti is when the palms connect over heart center (like in the opening of an ashtanga practice). Feet hip width is a modification, not a pose. Thank you so much. 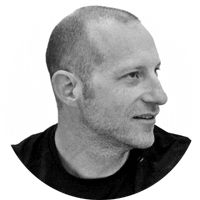 I’m really increasing in my practice and I read your articles with great pleasure. I’m waiting for your book! I too, would love to hear the answer to Martine’s question. becaue I know Iyengar teachers who teach Tadasana with feet together as an absolute. Love your info and I also am looking forward to getting your book! I was really interested by your observation about foot position and your view that aligning the outer edges of the feet with the side edges of the mat, instead of aligning the inner edges of the feet together, is internal rotation instead of neutral position (as I’ve come to understand it). I went through my kinesiology literature and saw that yes, in anatomical position the inner edges of the feet are parallel, not the outer edges. I also noted, for myself, that when the inner edges of my feet are together, it’s much easier to access mula bandha. I loved being taught by you A&P at my CyS teacher training 2008-2009 in UK also I have done workshops in Glasgow.